 How to Convert to WMA or Convert WMA to Any Format? 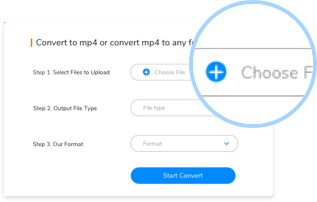 Step 1: Click the "Choose File" Button, select a WMA file or another video/audio file you want to convert. 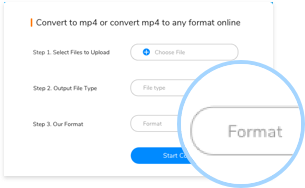 Step 2: Select a right file type, so that you can choose WMA or other format you want to convert fastly in the next step. 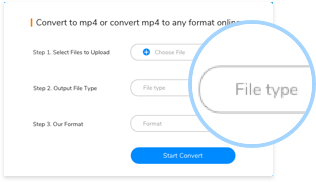 Step 3: Select WMA format or a format you want to convert, then click the "Convert" button, the file will be converted soon. A WMA file is an audio file saved in the Advanced Systems Format (ASF) proprietary format developed by Microsoft. It contains Windows Media Audio and metadata objects such as the title, artist, album, and genre of the track. WMA files are similar to .MP3 files and primarily used for streaming music from the web.